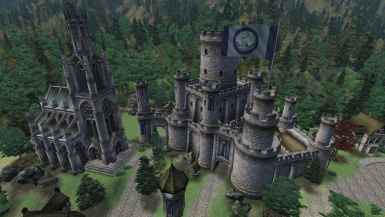 Now users of Open Cities can experience Unique Castles! Please contact either me or SilentResident for usage permissions. All of my work is considered open-source, so feel free to use it so long as you give credit where credit is due. You must have permission from SilentResident if you wish to expand on this mod, however. texian, godhugh: For starting it all. Adjusted Castle Bruma's Unique Castle architecture to be in line with OCR 1.1.2's moving of the castle. This mod is no longer compatible with any previous version of OCR. WARNING: Translation is out of date. SilentResident has given his permission for this file to be uploaded. 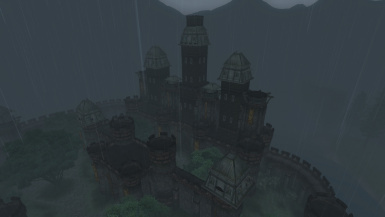 Arthmoor has given permission for this file to be uploaded. All of the castles in each of the games seven castled cities have been overhauled, providing a brand new, unique look to each one. 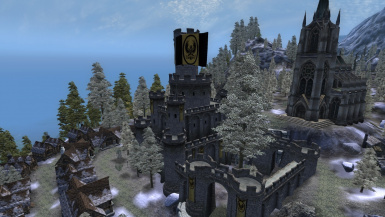 In some cases, SilentResident's changes to the castles were not able to be preserved in the Open Cities Reborn version. In such cases, I salvaged what I could and started from scratch, rebuilding the castle how I thought it might look under the new Reborn city layouts. 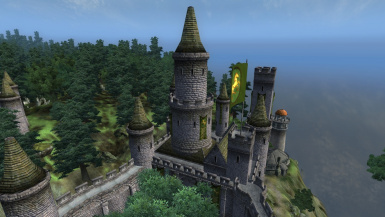 In such cases, I have tried to keep hold of the original vision SilentResident had for the castles, but some artistic liberties had to be taken in such cases. 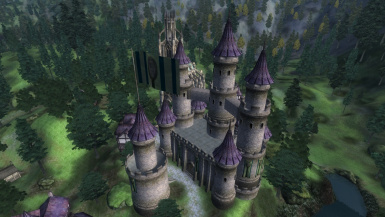 In short, some castles needed to be re-designed in order to work with Open Cities Reborn. These include Anvil (slight edits), Cheydinhal (moderate edits), and Leyawiin (completely done over). Open Cities Classic, on the other hand, was very easy. 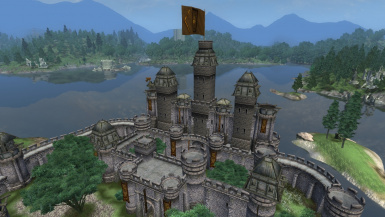 All that needed to be done was reposition a few of the Open Cities flags and, in the case of Anvil and Cheydinhal, move the Unique Castles architecture so that it was positioned correctly. You need Open Cities Classic or Open Cities Reborn to use these mods. 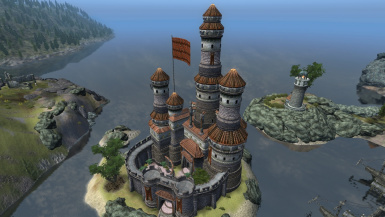 If you don't have them, you are in the wrong place; you want the original version of Unique Castles. Blood & Mud version requires Blood & Mud. 2. Start OBMM/Wrye Bash, place a checkmark beside the .esp file. This mod is also pre-packaged for use by Wrye Bash's BAIN installer. If you use BAIN, just select the appropriate sub-package for your version of Open Cities (Classic or Reborn) and the correct ESP will automatically be installed for you. Do not use this with Better Cities (open or closed). Since you already get Unique Castles there, you'd just be wasting a lot of time. 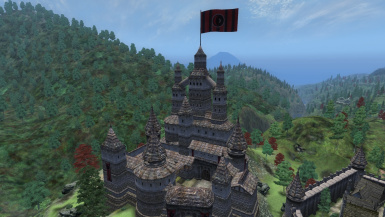 Do not use this with the standalone Unique Castles mod. These plugins replace the originals, and as such should not be used together. Make sure you choose the right version of Open Cities when installing this, otherwise you'll get the wrong castles. This mod is incompatible with any version of OCR lower than 0.9. Do not use it with an earlier OCR version. This mod is incompatible with the old Open Cities mod by texian and godhugh. As Open Cities Classic takes over where it left off, there is no reason for you to use it anymore. This will not be addressed. 2011/01/11 - Version 1.1.6 - Adjusted Castle Bruma's Unique Castle architecture to be in line with OCR 1.1.2's moving of the castle. This mod is no longer compatible with any previous version of OCR. 2011/10/04 - Version 1.1.4 - Tweaked B&M plugins to perform the edits more cleanly. 2011/10/04 - Version 1.1.3 - Permanently removed a troublesome NULL Ref from OCR verions, Removed a ring of floating windows in Anvil OCR versions. 2011/09/04 - Version 1.1.2 - Added VWD flags to the city flags so you can see them from far off again, removed a couple floating objects left behind in the Leyawiin OCR versions. 2011/07/04 - Version 1.1.1 - Cleared up a few wild region edits. They are harmless, but nonetheless untidy and unwanted. 2011/07/04 - Version 1.1 - Blood & Mud support added, Castle Bruma tweaked to mirror a recent update to SilentResident's version of the mod. 2011/06/04 - Version 1.0 - Initial release. You can contact me via PM either on the Nexus or on the Official Oblivion Forums. I am more likely to respond to the latter. You can also pose any questions you might have in the thread. Thanks to DarkOne for providing TESNexus so swiftly after TESSource/TESDB went down, and continuing to improve on it. Thanks to Arthmoor for Open Cities, and for destroying Bethesda's cop-out, unneeded console optimization once and for all. Please contact either me or SilentResident for usage permissions. All of my work is considered open-source, so feel free to use it so long as you give credit where credit is due.